This fall, the city’s Asian contemporary art crowd will be abuzz with a certain anticipation—paddles in hand—for the bidding war that is Asia Art Archive’s annual fundraising gala and live auction taking place on November 4. The glitzy affair, which raises over half of the non-profit’s annual fund, supports its mission to make contemporary art in Asia and its documented histories easily accessible. At the coveted event, a dazzling host of almost 70 contemporary works by celebrated artists such as Nobuyoshi Araki, Gao Ludi and Candida Höfer will go under the hammer, while keen collectors and aficionados can get bidding on the pieces now at an online bidding platform. Kong Chun Hei’s transformation of everyday objects used as construction materials speaks to his versatility as an artist. Simultaneously an ink painting and a piece of sculpture, Stuff IX upends preconceptions of industrial materials and challenges how we look at the ordinary objects that make up urban environments. Unlike an architect, who uses these building blocks to construct cities, Kong uses the same items to deconstruct the created realities within the places we live. A recent work, Abstract 201707 is a fresh take on the circle paintings that cemented his reputation as the father of abstract painting in China. The cycles in Yu Youhan's paintings symbolise both a single moment and eternity, with the movement implied in their shape referring to both expansion and containment. Yu's circle paintings are inspired by Laozi's Tao Te Ching, which proposes that the universe is alive and in a permanent state of change. "My favourite is this new painting by Yu Youhan. Yu is one of the most respected Chinese painters who has stayed true to his art despite the crazy market. He takes time to study each painting he creates. His work is personal and emotional. This is a beautiful new direction towards abstraction." Dhaka-based artist Ayesha Sultana works in myriad media and techniques to investigate the formal properties of materials and the significance of the medium itself. This set of "drawings"-produced by photocopying and re-copying images photographs, exhibited during Sultana's first solo show at Kolkata's Experimenter Gallery, focuses one's awareness on what is beyond the immediate field of vision and speaks to Sultana's devotion to "doing" by using various methods to make what is invisible wholly tangible to viewers. "I find these fascinating – they are emotive and thought-provoking. I like that acts of manipulation and creation and the artistic process are so much a part of the work." Known for her large-scale works, which include a permanent mural for the London 2012 Olympic Park commissioned by the Contemporary Art Society, Clare Woods brings the same intensity and psychological depth to her smaller canvases. In Forget Me Not, Woods manipulates the paint's texture and density to create a three-dimensional painting that alludes both to metamorphosis and to the duality of the human body as an object that is both fragile and powerful in its humanity. "I do like paint more than things cast in plastic waste, knitted in wire wool, stuck with chewed bubble gum, biofluids... So obviously I love this painting by Clare Woods. She comes from a long line of English landscape painters but her work departs from this tradition in its dark, sinister quality; she paints with great confidence and spontaneity. Her new paintings are of the body and seem to capture the body’s pain and fragility. Forget Me Not, is of a foot, on point, in a landscape." Master carpenters followed Hu Fang's design to create Home for Books using traditional Chinese mortise-and-tenon woodworking methods. Hu envisioned an architectural structure where books could reside, a type of residential building where they could be free to arrange themselves according to their sizes and personalities. The books were selected from the reading list of AAA's Under the Influence project, which was launched at Art Basel in Hong Kong 2017. AAA asked artists from around the world about the books that inspire them; the project continues to travel to schools in Hong Kong. The volumes in this lot are brand new, ordered specficially for this auction. For this set, we produced a fresh batch of cards with artist's personal stories about their selected titles. 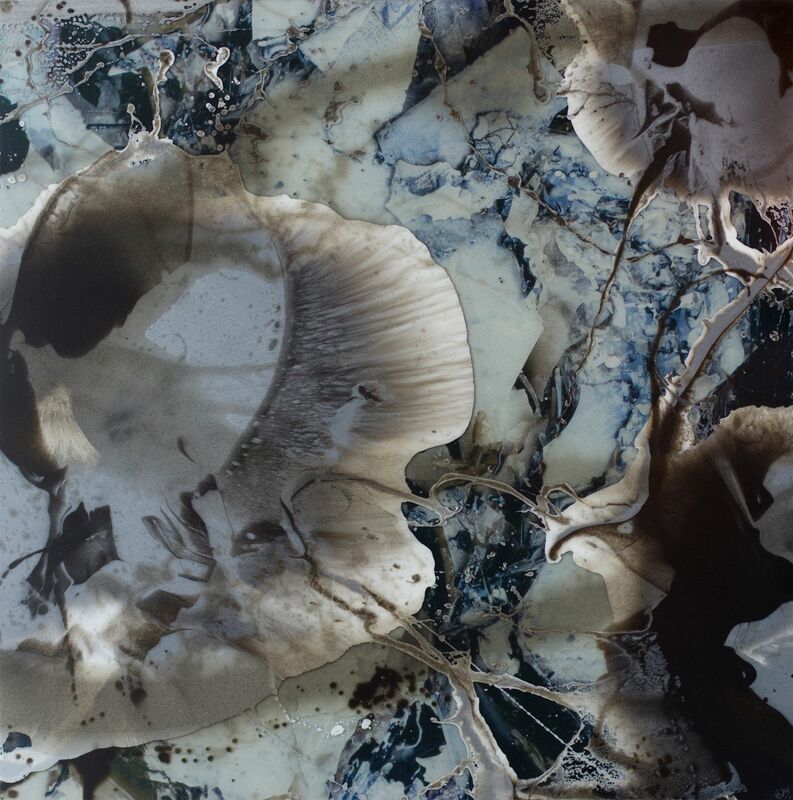 Intrigued by contemporary society's desire to retain traditions and cultures, Arin Sunaryo uses volcanic ash from Indonesia and industrial resin-two substances with preservative qualities-to express this resistance against time. The distinctive depth and tone that can be seen in Lagedu #2 result from the fusion of the volcanic ash with the pigments in the resin. Sunaryo has used gestural abstraction to highlight the flow of the resin, taking advantage of its quick-drying properties to allow his process and the moment to be frozen in time. Representing a new direction in Liu Wei's work, the painting encapsulates and explores the energy of urban life that he is best known for in his abstract landscapes. However, unlike previous work which mostly start as a digital image, this came to exist directly on canvas, pointing to a more painterly approach in his practice. This work was a personal donation directly from Liu Wei, one of the most acclaimed contemporary artists from China. Co-founder of Video Bureau, a crucial video archive resource in China, Fang Lu is an important figure in the Chinese art scene in her own right. A new work that is seen here for the first time, Tank is inspired by the psychological effects of isolation tanks. Using a simple, repetitive beat to create a form of sensory deprivation, Fang explores the possibility of drawing out the unconscious mind and experiencing her environment as though it were an isolation tank. One of the most renowned modernist Chinese calligraphers, Wang Dongling highlights the performative element of traditional Chinese calligraphy in this dramatic work. Typical of his best pieces, 大本emphasises gesture over content and assigns value to the act of writing as an expression of how the body and the process of creation relate to each other. Made especially as a gift to Asia Art Archive, 大本 is written in Wang's signature luanshu or chaos script, a groundbreaking style in which the movements of his fingertips, arms and body contribute to the generation of dynamic text that borders on illegibility and chaos. Inspired by the tangled stems of lotus plants, the calligraphy embodies the tension between the artist's control of his brush and the wild energy of performance. A touching and unsolicited memento of his love for AAA and its mission, the painting arrived unexpected at the Archive one day, posted by him in a plain brown envelope, as a personal contribution of support.